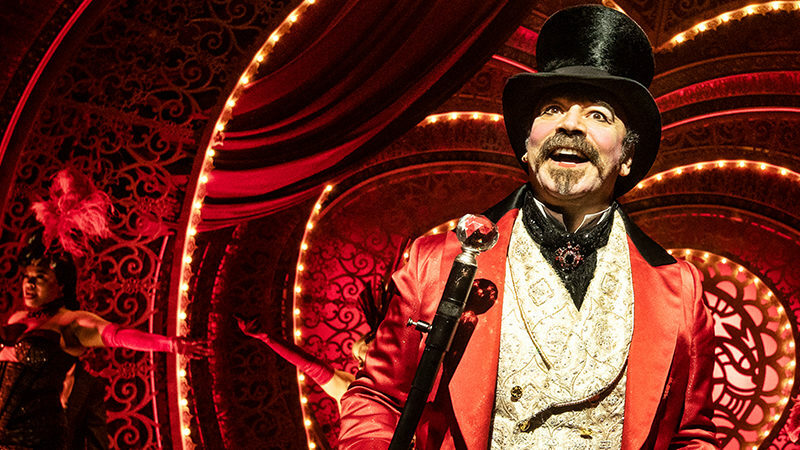 A miraculous world awaits inside the ultimate pleasure palace at Moulin Rouge! The Musical. 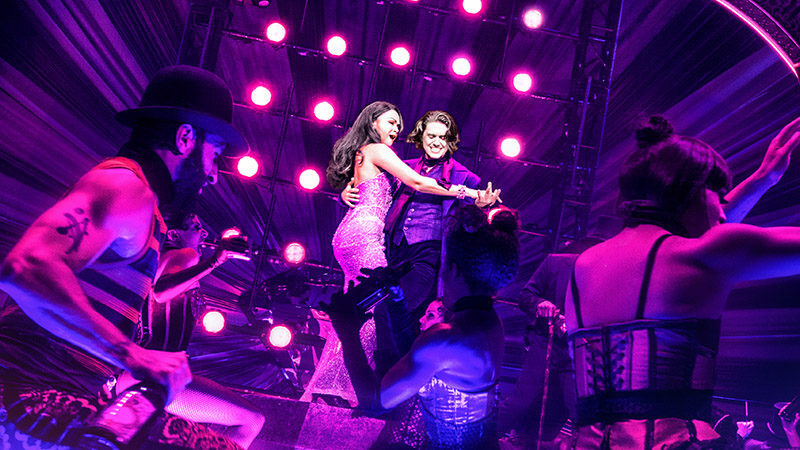 Swathed in crimson velvet and twinkling lights, with a twirling windmill on one wall and a giant elephant torso on the other, Broadway’s Al Hirschfeld Theatre has been transformed into a sumptuous setting for romance and revelry in turn-of-the-century Paris. 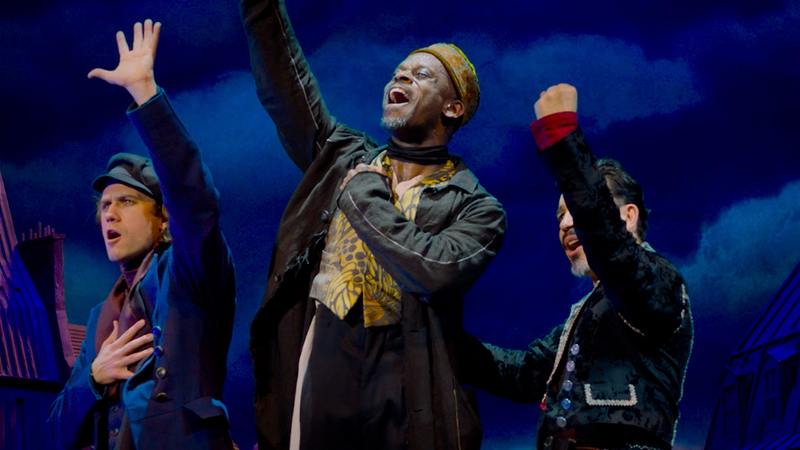 This wildly anticipated stage adaptation of Baz Luhrmann’s blockbuster 2001 film begins previews June 28, directed by Tony Award nominee Alex Timbers. The glorious work of designer Derek McLane sets the stage for the story of Christian, an ambitious American-born writer who instantly falls in love with Satine, the famous nightclub’s bewitching chanteuse. The colorful cast of characters at the Moulin Rouge includes artist Toulouse-Lautrec, his Bohemian friends, and a wealthy duke who becomes a rival for Satine’s affection. 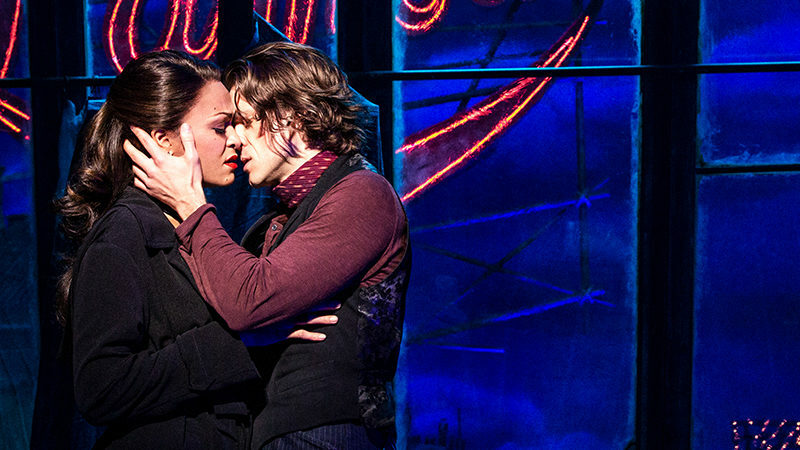 The star-crossed lovers, created on film by Nicole Kidman and Ewan McGregor, are played by Tony Award winner Karen Olivo and Aaron Tveit, who won raves during the show’s sold-out pre-Broadway run in Boston last summer.